Freshman tight end Jaelyn Lay heard the unmistakable growl of tight ends coach Danny Pearman and whipped his head around, a look of bewilderment on his face. A few minutes later, Lay showed that he had taken Pearman’s guidance to heart and ran a route that drew a smile from former Clemson tight end Garrett Williams. That is awesome. Sounds like our offense will be unstoppable next season if we stay healthy. Yep, this is definitely encouraging. Especially since it’s still inconclusive whether or not Galloway will play. Was hoping we would know more about the appeal by now. I don’t get that. It was mostly quotes. The only thing i noticed is not sure who Jeff Scot is... new co-coordinator maybe. Jk. Hey Lever, there is another option besides bichin and moanin, that would be 'Dont read it!'! No one twisted your arm! I don't want to read your negative crap when I'm reading a feel good article about a frosh player at practice! Go to ESecPN if you want some really 'ahem', quality reporting! 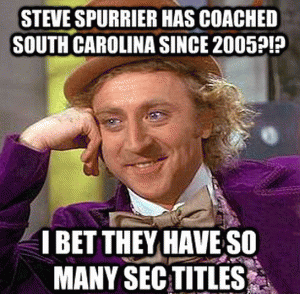 You can find articles like, 'It's Georgia's fault Clsmson Beat Bama!' That quality there boy! We've come to trust Brent Venables . . .
"Jaelyn Lay is the most impressive tight end I have seen in a camp since I've been coaching." WOW!!! Could he sing Lay's ability any louder? Yes, I trust BV . . . take it to the bank . . . Jaelyn IS special!!! He will be a pure pleasure to watch, THIS SEASON!!!!!!! Re: We've come to trust Brent Venables . . . I wonder if this is VB trying to tell the Co OCs who the opposing DCs would fear the most. Either way Chalk has to be productive as a blocker and viable pass catcher for the run game to be successful. Lay can’t play all the time and will probably get dinged up along the way. When Jeff Scott was talking it was kinda of like blah, blah, blah. When I read Brent Venables comments I was like woah! As if T Lawrence needed more great receivers to catch his passes! If Lay can develop as well as Leggett did at tight end no defense will have a chance. Hopefully he will provide a lot of blocking like Garrett did at tight end. If the OL becomes as great as we all expect, there will be no stopping the Tiger offense. We may not even need a punter! Would love to see the middle of the field being used in the passing game this season. With the speedsters on the outside, it will be almost impossible to cover everyone. Depending on the defensive positioning we did use the middle of the field. Sucked in LB’s and dropped dimes to the slot receiver. NUFF SAID !!! __________GO TIGERS !!!! Grooming him for LB or DE?